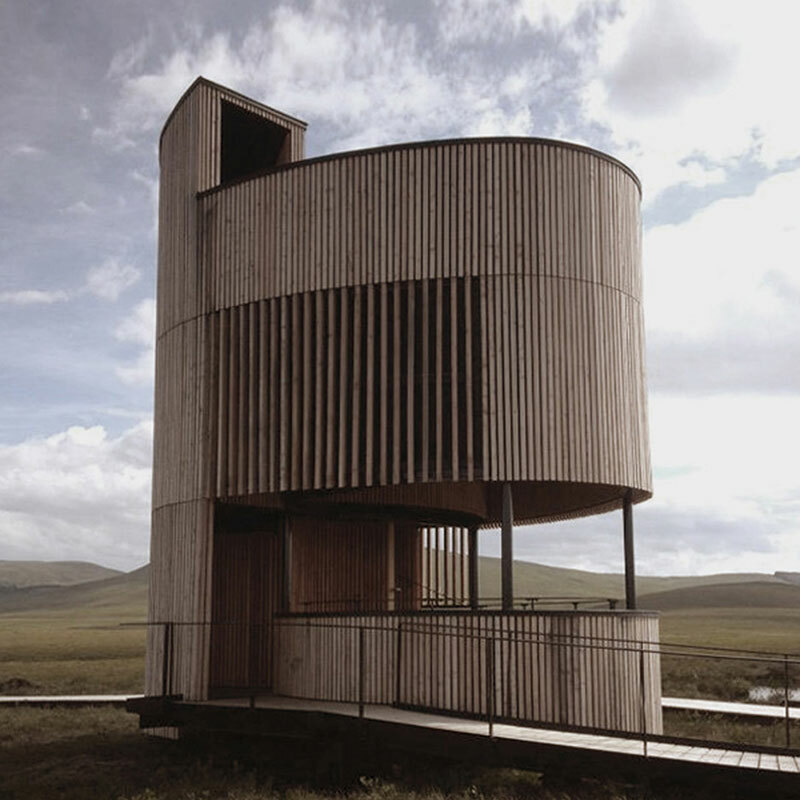 An observation tower positioned over a picturesque bogland in Scotland by Icosis Architects. 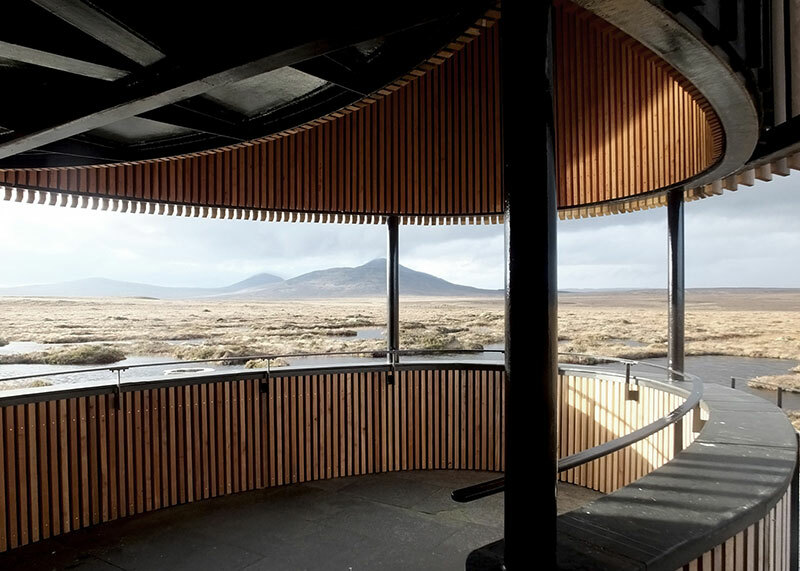 The structure is located at the Dubh Lochan peat bogs in Sutherland that gives visitors a view of the unique patterns formed by the pools of water as well as "to assist with introducing the concepts of conserving peatland habitats in order to mitigate climate change." 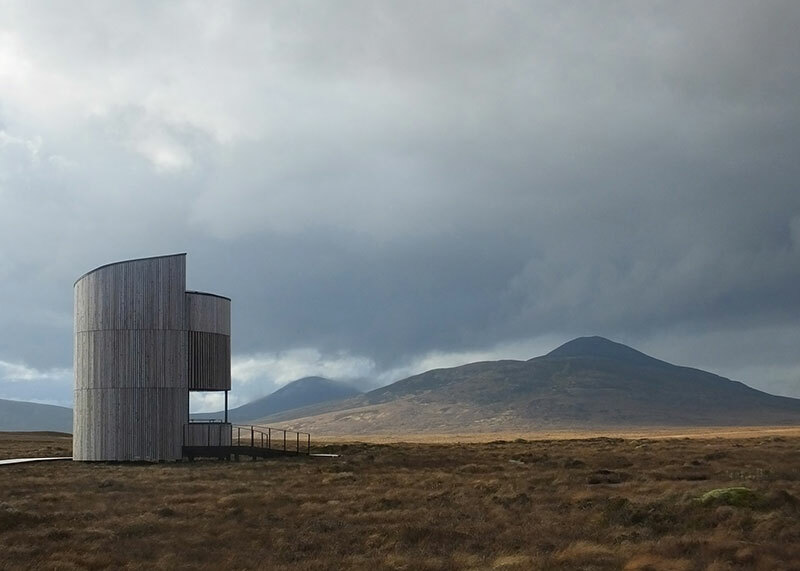 The tower is made of timber and steel and clad with Scottish Larch inside and out. 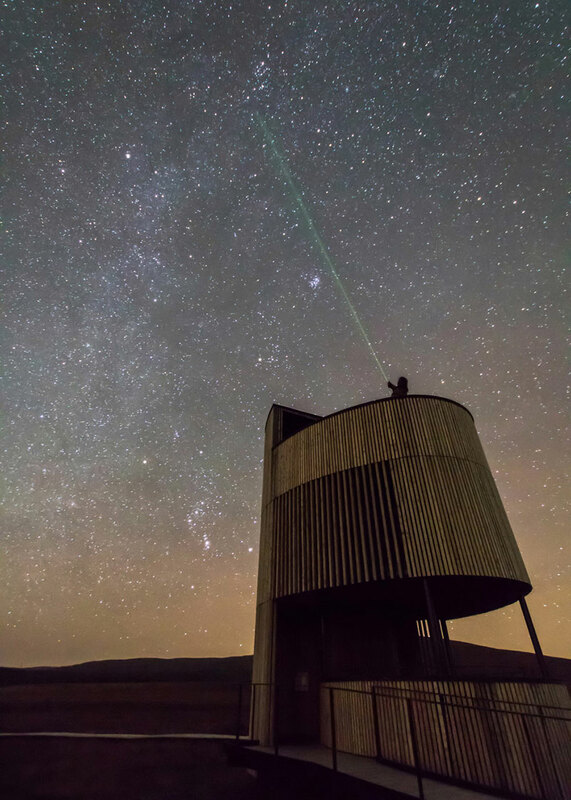 It has an open viewing deck above and is located far from any light source that makes it perfect for stargazing. 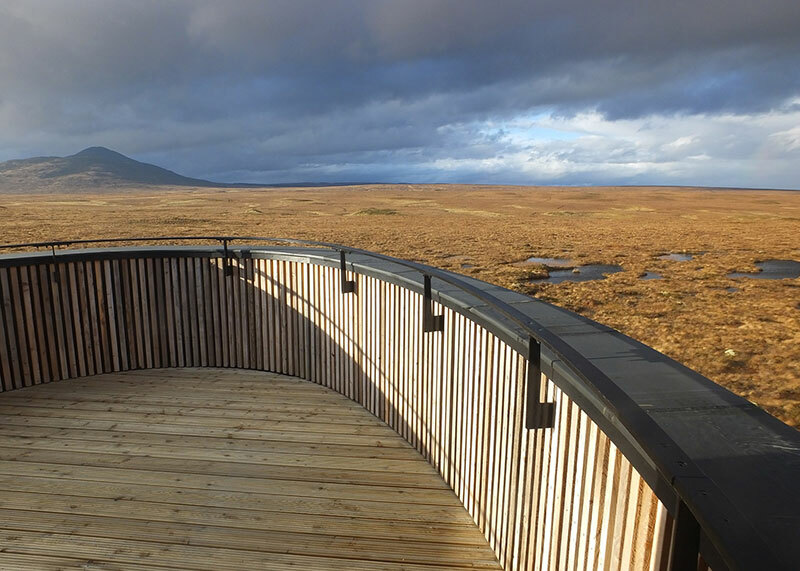 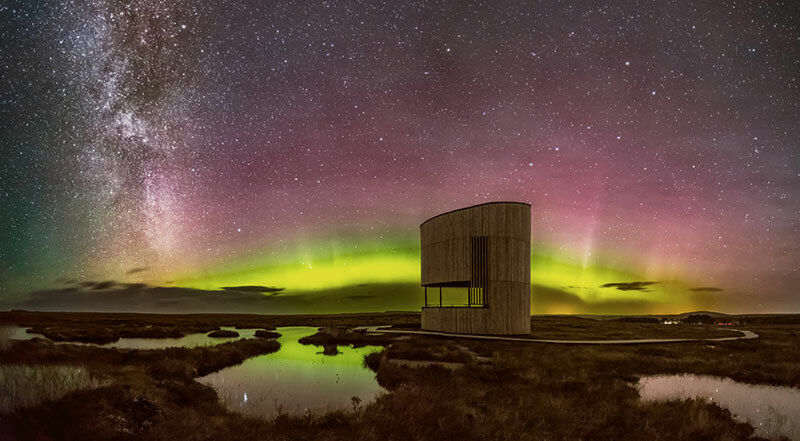 The Forsinard Observatory was commissioned by The Peatlands Partnership and is currently shortlisted for the Royal Incorporation of Architects in Scotland (RIAS) award. 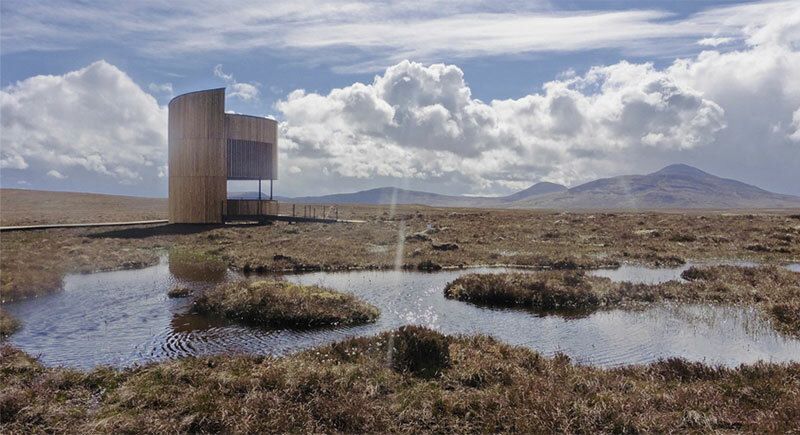 An observation tower positioned over a picturesque bogland in Scotland by Icosis Architects.